Hollerchat is another alternative site to Chatroulette for users who want to get a random webcam chat. You can just go to Hollerchat.com and try it's features just for free; your webcam is enough. If you don't have a camera you also still can chat by clicking "Text" chat room and enter the chat. Also you can see rooms text chat, meet people, group chat, video chat, chat with girls etc and just what you want. 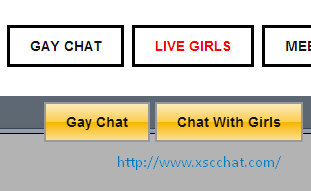 When you visit this chat area, wait server to load. When it loads, enable your camera to work. After it works you can start chatting on Hollerchat. It has roulette chat style and you may find random strangers online. It's for adult people and generally Asian people visit here. Mostly men prefer to chat inside here but if you want to chat only with girls, you may click to "Chat With Girls" page on Hollerchat. It's a paid area and you must pay to chat with girls only. We may suggest you to chat on Chatrandom girls or Chatroulette girls chat with tokens too.